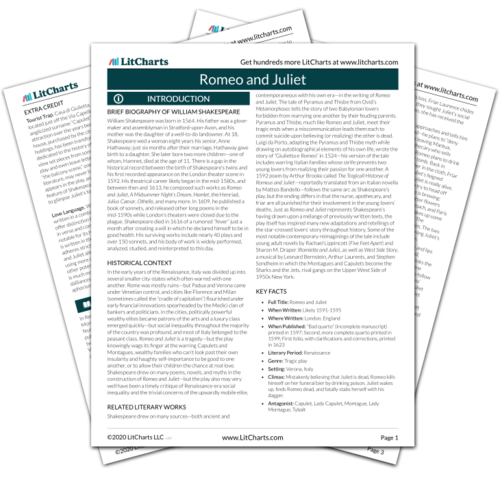 Instead of leaving the party with Benvolio and Mercutio, Romeo jumps the wall into the Capulet garden to try to find Juliet. Benvolio and Mercutio call after him, and Mercutio laughingly mocks Romeo's passion and love for Rosaline. Finally, they give up and leave. Another social pressure that Romeo must face: his friends. For the rest of the play, by the way, Romeo's friends continue to think Romeo loves Rosaline. Florman, Ben. "Romeo and Juliet Act 2, scene 1." LitCharts. LitCharts LLC, 22 Jul 2013. Web. 20 Apr 2019. Florman, Ben. "Romeo and Juliet Act 2, scene 1." LitCharts LLC, July 22, 2013. 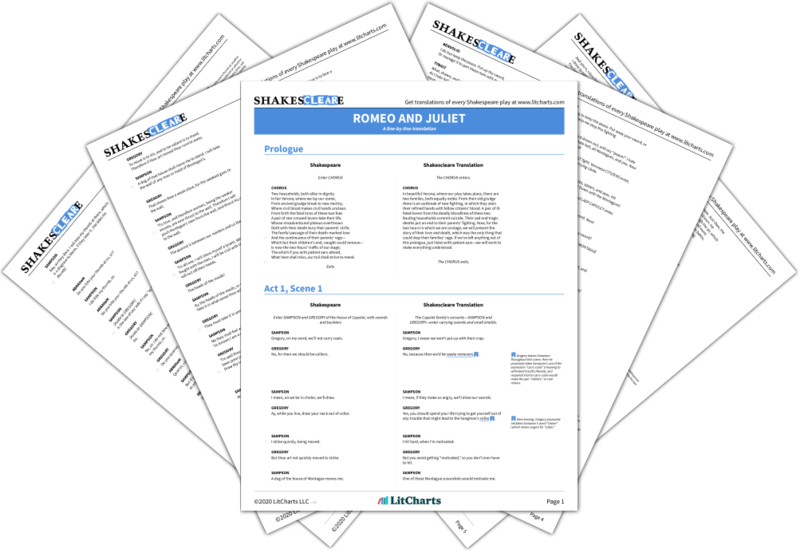 Retrieved April 20, 2019. https://www.litcharts.com/lit/romeo-and-juliet/act-2-scene-1.